Pandora Co-Founder And CEO Tim Westergren To Step Down : The Record After more than 17 years with the company, Westergren announced he would be stepping down as CEO and exiting the company's board. 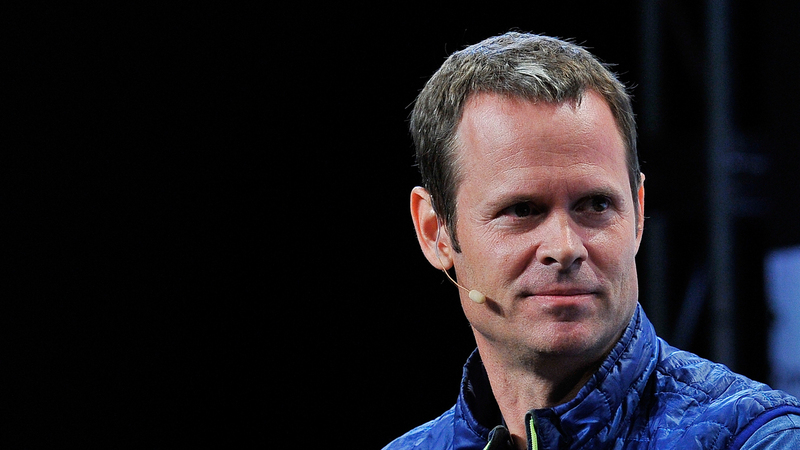 Tim Westergren, co-founder and CEO of Pandora, announced he would be stepping down from the company on June 27, 2017. Tim Westergren, the co-founder of Pandora who returned to the company's chief executive seat last year after the exit of Brian McAndrews, is leaving the company he started over 17 years ago, it was announced this morning. He will resign his position as chief executive and exit the company's board of directors. "I believe Pandora is perfectly poised for its next chapter," Westergren says in a statement regarding the move. Chief financial officer Naveen Chopra will assume the vacated seat until a replacement is found. The company also announced that chief marketing officer Nick Bartle and president Mike Herring will be leaving Pandora as well, and that Jason Hirschhorn, founder of the media aggregation company ReDEF and a former co-president of Myspace, would be appointed a director, and receive $40,000 and equity for his trouble. Pandora has had a tumultuous few months in the boardroom; after securing $150 million in funding from private equity group KKR — and adding former AEG CEO Tim Leiweke as an independent director and advisor — it dropped that deal for a $480 million investment from satellite broadcaster SiriusXM. SiriusXM also gained three seats on the company's board in the deal. The company's stock has steadily declined over the past few years — from a high of $37.42 a share to $8.32 today — as Spotify and Apple Music have gained dominance in the digital listening market. Pandora offers two subscriptions: the cheaper Pandora Plus, which augments its radio service and removes ads, and Pandora Premium, its competitor to the on-demand services. However, it spent much of 2016 building Premium from the pieces of Rdio, which it acquired at the end of 2015 — losing precious time as the streaming market became ever more mainstream. Westergren often shared his backstory as a musician "living out of a van" before launching Pandora in 2000. (Once initial funding ran out, the company infamously asked its employees to work for free for two years.) From there, he helped direct the development of the Music Genome Project, a unique hybrid recommendation engine that utilized musicologists' analyses of recordings in order to better recommend music to the service's users. Before too long, Pandora became relatively synonymous with "radio on the internet." Pandora's competitor Spotify had no comment on Westergren's departure; Warner Music Group, Universal Music Group and Sony Music — companies which Westergren spent much of 2016 repairing relationships with — did not immediately respond to a request for comment. Updated, 10:58am, June 27: This article was updated with information from a financial filing released subsequent to the announcement of Westergren's departure.